About Us | Hindson Marina Inc.
Hindson Marina is the largest independently owned marina on Georgian Bay with dockage for over 480 boats. 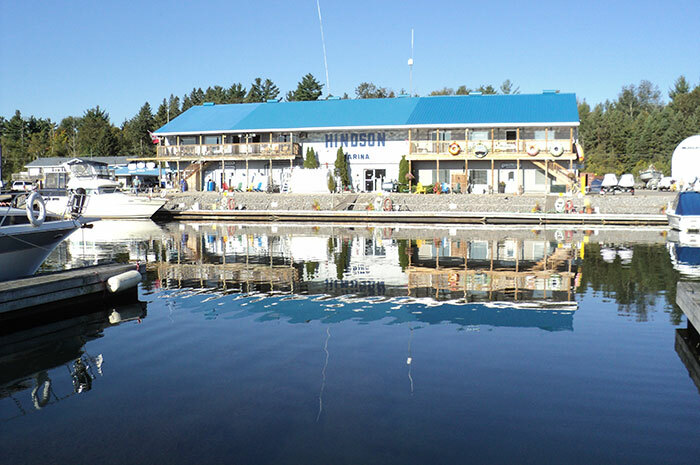 Nestled in the southwest corner of beautiful Penetanguishene Harbour and protected from the prevailing winds, Hindson Marina is a full-service marina that has been in business for over 40 years! We feature seasonal dockage, transient dockage, dry stack storage, heated storage, indoor cold storage, indoor covered storage, and outdoor storage, a fully stocked marine store, as well as a fuel dock and 24-hour security. Only 90 Minutes North of Toronto, we are surrounded by the beautiful waters of Georgian Bay. Georgian Bay is a boater’s paradise with some of the best fresh water boating in the world. Sail or cruise to the 30,000 islands, take a voyage through the Trent-Severn Waterway, or journey to the picturesque North Channel. Adventure out onto one of the breathtaking hiking trails on Beausoleil Island, explore spectacular sheltered anchorages, relax on the beautiful sandy beaches of Beckwith Island and Giant’s Tomb, or take a dip in the crystal clear blue waters of Georgian Bay. Whatever your boating preferences are, we will welcome you with superior amenities and exceptional hospitality. We monitor channel 68 for all incoming boat traffic. For boating emergencies use channel 16.